160ml PYREX® Milk Dilution Bottles are for milk testing as well as general storage of solutions and tissue culture work. Milk dilution bottles are available in wide mouth(40-400) or narrow mouth(28-400), with or without enamel graduations. Made from sturdy, temperature-resistant borosilicate glass. Graduated bottles have a cut-line graduation mark at 99± 1ml. All of our milk dilution bottles come with a phenolic screw cap with rubber liner capable of withstanding sterilization (wet at 121°C). 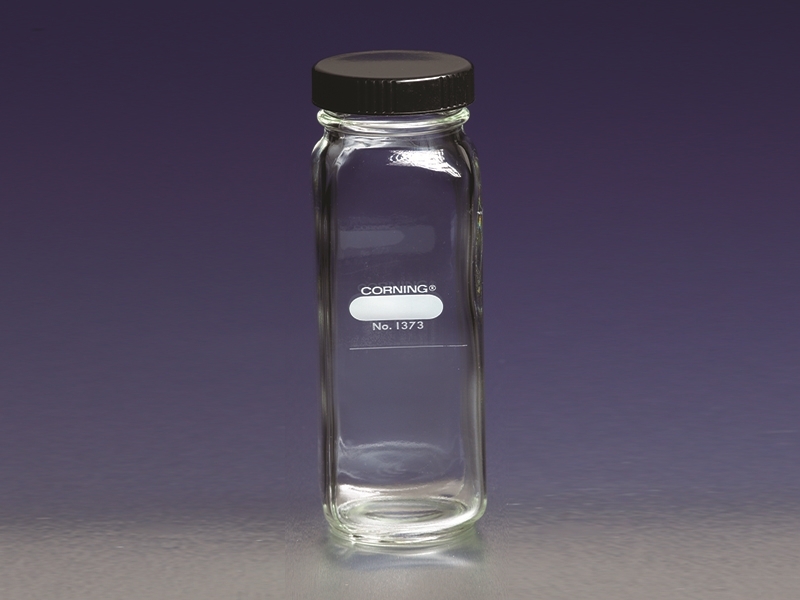 These milk dilution bottles all have a 160ml capacity and are approximately 150mm tall with a cross section of 44 x 44mm. All milk dilution bottles meet the requirements for milk dilution bottles stated in the "Standard Methods for the Examination of Dairy Products," published by the American Public Health Association.